Daily fantasy is a 100% legal (more on the legality in a separate piece) alternative to season long leagues that provides gamers entertainment and an opportunity to win real money. The sites hosting daily fantasy games are US based, and therefore are regulated by the US government, assuring fair business practices and safe handling and payout of gamers' money. More specifically, daily fantasy is one day contests for most major professional sports such as MLB, NBA and NHL. In the case of the NFL, daily fantasy sports contests sometimes encompass the Thursday Night Football game and Monday Night Football game and are more like one week games. Depositing money is simple at all daily fantasy sports providers. If you have a debit or credit card, or you have a PayPal account, you'll be able to deposit money within seconds. The minimum deposit at sites varies, but DraftKings offers a $5 minimum, while other sites such as FanDuel and DraftDay require a $10 minimum. Most sites also offer first time depositors bonuses that are unlocked by playing in real money games. Even gamers returning to make deposits canfind deposit bonus codes throughout the year. Withdrawing money is just as simple. Each site has different methods of paying out withdrawals, but all pay out within a couple business days of the withdrawal requests. Requests for payouts via check as opposed to different payout forms, such as PayPal for instance, sometimes take a bit longer to receive depending on the site the withdrawal is being made from. FanDuel, for instance, states that check withdrawals are processed in approximately 7-10 business days. People who are new to daily fantasy and wish to check out sites before making a deposit and playing for real cash have that option. Free games are available at daily fantasy sports sites, and nothing more than registering a username is required to enter these contests. In addition to free games available for people to familiarize themselves with daily fantasy sites, freerolls for real prizes (often cash, but sometimes other goodies) are widely available at bigger daily fantasy sports providers. Freerolls are large field tournament style games where only a small percentage of the field, sometimes only one person, wins a prize. First-time-depositor freerolls are a popular offering for attracting new daily fantasy gamers to a website, and they are a great free way for new gamers to attempt to win money before joining real money games. Daily fantasy games are available for a wide array of buy-ins. Buy-ins are simply the cost of playing a daily fantasy game, and they range from the micro stakes of less than a dollar to thousands of dollars. Buy-ins, field size (the number of participants in a contest) and contest rules are the determining factors for prizes. Contests clearly outline payout structures that can range from half a field being paid to a much smaller percentage of gamers being paid depending on the type of game played. Fields for contests can range from one opponent (head-to-head games) to thousands of players. Larger field contests are typically referred to as GPPs (guaranteed prize payout) because they guarantee a specific dollar amount being paid out to contestants regardless of whether the maximum number of entries is reached. GPPs often use a tiered payout structure similar to those used in poker tournaments, and the payout for each position is listed on the contest's rules page. Much like there is a wide array of buy-ins, there is also a wide variety in field sizes of daily fantasy sports contests. Gamers can choose to compete against one opponent, 10 opponents, or thousands and seemingly any field size in between. Dabbling in different sized contests is the best way to determine which games you'll enjoy most and be most profitable competing in. 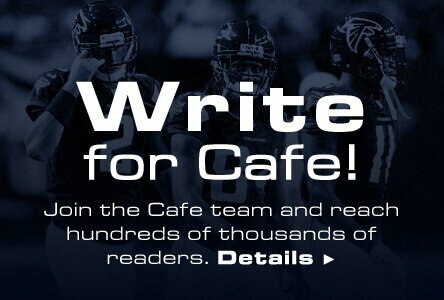 Different strategies apply to different game types, and the Daily Fantasy Cafe will offer advice for the different contest types. 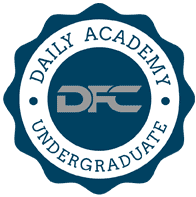 Explanations of the different games can be found in the Daily Academy. If you've thrived playing in season long leagues, making the transition to daily fantasy won't be daunting despite some major differences between the two. The primary difference between the two, in terms of roster construction at least, is daily fantasy's lack of drafts (with the exception of some unique contests) and usage of a salary cap (in most instances).As you'll learn reading more articles in the Daily Academy, the difference in lineup construction creates unique considerations when building teams. That said, some of the tools and research utilized in season long leagues does effectively carry over to daily fantasy. What translates well from season long leagues to daily fantasy will be better understood after completing the Daily Academy.